A final tribute to yourself or a loved one, a cemetery monument is an everlasting memorial meant to reflect one's life on earth. Monuments stand the test of time and will be honored by generations to come. At Cascade Monuments & Urns, we understand the importance of quality and artistry and strive to always provide premium monuments, markers and mausoleums. Shipping is available anywhere nationwide in the U.S. and Canada. Cascade Monuments & Urns will deliver to families in Oregon, Washington, Idaho, and BC, Canada. We offer a complete range of monument types to satisfy everyone's requirements. Single plots, dual plots, child monuments, and war memorials are only a few of the different monuments you will find with us. Take some time and view the different color choices you have for all of these monument types. At Cascade Monuments & Urns, we will work close with you to help determine the best monument type to commemorate your loved one. Cascade Monuments & Urns can help you decide what monument lettering style best suits your needs. There are several types of monument scripts in use today, they include Bible Script, Eras, Script MJ, Old English and many others. flat monuments- This style of monument rests very low to the ground. Some cemeteries may require that this type of monument be used to provide a uniform appearance, as well as ease of surrounding ground maintenance. bevel monuments- Similar to flat style monuments, beveled monuments rest low to the ground, but instead are slanted or beveled slightly for ease of finding and reading. vases/urns- We offer a wide selection of vases and urns as a beautiful alternative in preserving the memory of your loved one. ledger markers- Ledger markers are made of granite or bronze materials that cover the entire grave site. Upright monuments- This style of monument utilizes a large front face (or tablet), and are a good choice for long, engraved inscriptions or flourishes. The large tablet size also makes it easier to locate in a cemetery. slanted monuments- - Slanted monuments are a form of upright monument that slants upward for ease of reading. These also feature a large tablet for inscriptions. pet memorials- All life is precious and should be honored. 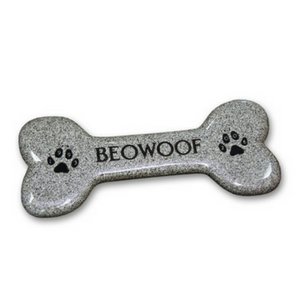 We can design an animal monument so you can cherish the memory of your beloved pet. laser etching- You may customize any monument with our laser etching designs. 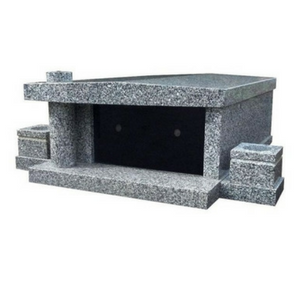 Cremation monuments- This type of monument includes a small space to permanently house the ashes of the departed. Niches are above ground and sealed from the elements. bench monuments- - Often used as a memorial as well as a grave marker, these functional bench monuments are seen as a comforting place to sit peacefully and reflect on memories shared. Bolder Markers- These are unique as the stone being inscribed. They are easy to find for loved ones. Custom request- We are happy to honor special requests. Please schedule an appointment with us so that we can address your specific needs and budget.